Jerry C Y Liu, President of TACPS, ACPM, National Taiwan University of Arts. Jerry C Y Liu is the President of Taiwan Association of Cultural Policy Studies. He is an Associate Professor of Graduate School of Arts Management and Cultural Policy at the National Taiwan University of Arts. Liu is invited as the ENCATC International Correspondence Board Member between 2015 and 2017, and the representative member of ANCER and ENCATC for the NTUA. Since 2011, Liu has been the consulting member of Culture Basic Law and the Global Outreach Office of Ministry of Culture in Taiwan in 2013-2015. He is also the board member of Taiwan Association of Culture Law. Liu is a Contract Columnist for the United Daily News, Taiwan. He is the author and editor of The Mapping of Cultural Rights in Taiwan (2015, in Chinese) and Global Cities, Cultural Governance and Cultural Strategies: Art-Cultural Events, Festivals and Cultural Images (2013, in Chinese). 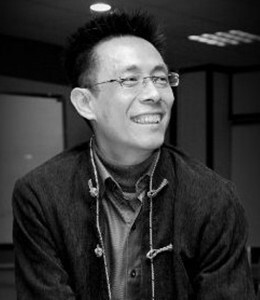 Liu is the project organizer of “Cultural Basic Law and Cultural Governance in Taiwan: The Mechanism of Interministerial Coordination for the Ministry of Culture” for the Ministry of Science and Technology, and “International Arts & Culture Monitoring and Trend Analysis” for National Culture and Arts Foundation (NCAF) in 2015-2016. He is working on his new book, ReOrienting Cultural Policy and Cultural Governance: A Taiwanese Perspective (in Chinese). His current research focuses on cultural governance and cultural policy, the concept of cultural logic in modern Chinese and European history, as well as the interactivity between culture and political economy in international cultural relations.